bed and begins to read. 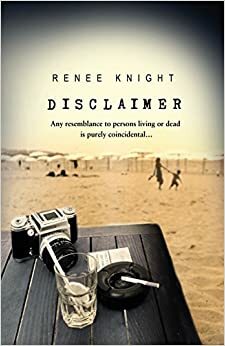 A secret she thought no one else knew…"
Disclaimer is crafted in such a way that it forces your mind to race ahead with the logical part panting behind it, desperately trying to catch up. A sentence later and you're taken back to square one once more. The narration of the chapters alternates and the varying perspectives allow you to get inside the head of the very different characters, which I think means the reader can get more out of the book. The first part of the book is a desperate page turner although that dampens, but only very very slightly, as you get further into the story. If I had to fault it, it would be down to a lack of reaction from Catherine towards her husband at one of the pinnacle points of the book. It is impossible to say much about the storyline without giving too many spoilers away, as it is such a fabulously crafted rollercoaster. A phycological thriller about revenge and deadly assumptions. A very clever premise using the works of fiction in this way ("any resemblence to persons living or dead is purely coincidental...") and not something which I had come across before. Disclaimer would definitely fall into the new genre of books, created by the fabulous @MarianKeyes, #GripLit. Disclaimer will be published on 9 April 2015....I recommend that you keep your eye out for it! There is said to be significant film interest and I can easily see this becoming a bestselling blockbuster.